I’m home for just a few short days between the amazing, somewhat surreal dream that was the Slow Fashion retreat (it deserves its very own post, which I vow to share before the end of August), and a week long camping trip in the Adirondacks with my extended family, and wanted to just check in here briefly. A peek at our foray into natural dyeing with Jessica Lewis Stevens from the Slow Fashion Retreat with A Gathering of Stitches 2017. Despite my best intentions, between a broken computer in June, whirlwind quilt photography adventures in July, the Slow Fashion retreat last week, and my family camping trip for which I leave tomorrow, I seem to be officially retreating into the wild fun of summer and out of blogging for the season. My Summer Adventure Quilt is growing almost as fast as my list of things to share with you, and I will share more detailed updates once the summer winds down. Here are the blocks I made this week to accompany us on our camping adventure next week. A improvisationally pieced tent block for camping, a canoe tied to a tree for our canoeing trips, and a lake section to add for every time we paddle. I made 5 extra trees in case we do lots of hiking, which are positioned around the top and left side of the tent, lake and canoe, and I put a few already-earned tree blocks around the bottom to show what it will look like all together. Hopefully with all of these blocks ready to roll, we’ll have a grand old time. I hope that you are enjoying these fast, hot months, and living life adventurously! I’m also excited to share that the 2018 Quilter’s Planner is officially released and ready for pre-order! This year, Alison Glass is the featured designer, too, and I’m sure you know how I feel about that! I’ll share much more about the planner and all of my quilt photography fun in a later post, too. 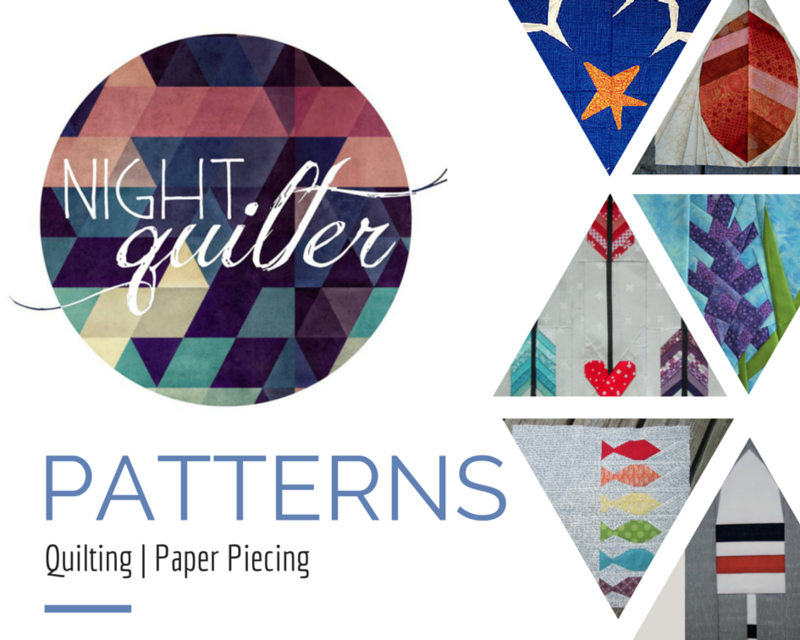 For now, visit Quilter’s Planner site to preorder domestically, and international friends can preorder a planner or a planner bundle through Fat Quarter Shop. Know that I have not forgotten this space, and I fully intend to return with intention once the weather cools, the big kids return to school, and the adventures subside a bit. Until then, happy stitching… and adventuring! Previous PostQuilt Theory Designer Corner: Geometric InspirationNext PostFinn’s Milestone Quilt Finish: Two Years! This all sounds and looks superb! Have fun! The weather is cool (cold, even) here, and I am in the same boat (canoe?) of not blogging much. I look forward to reading about the slow fashion!